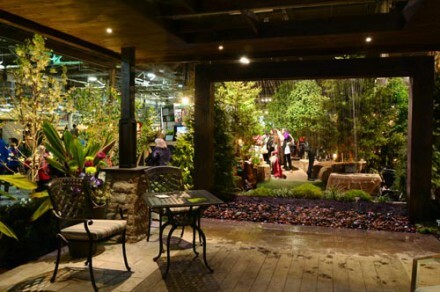 “Let’s Party” as you journey into the 2015 feature garden designers, builders and architects who created fun innovative showcases that ignited imagination and overwhelmed senses. Our feature gardens allow you to explore acres of fantasy gardens that capture the imagination with their vibrant colours, alluring fragrances and captivating designs. 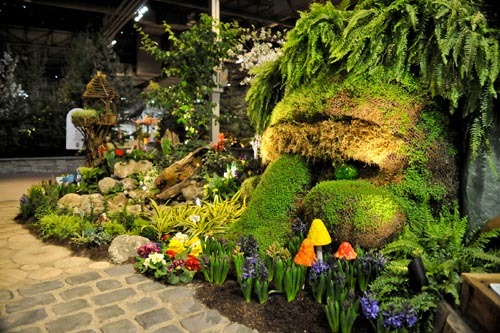 View the great gardens of Canada Blooms 2015 all over again! 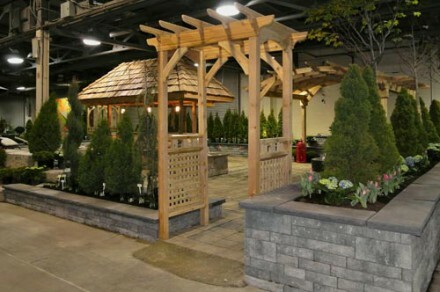 “Let’s Play!” as you watch the video of the Feature Garden Builders at Canada Blooms! 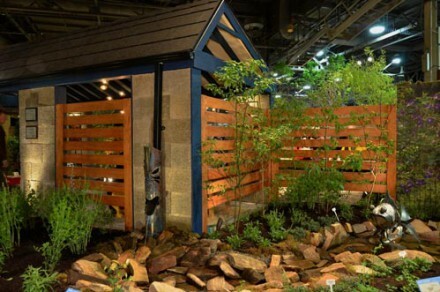 The Otium Concept, developed by Shawn Gallaugher Design is a garden that is designed with a form of boot camp style exercises that are performed in the landscape to strengthen ones’ health, well being, and connection to nature. 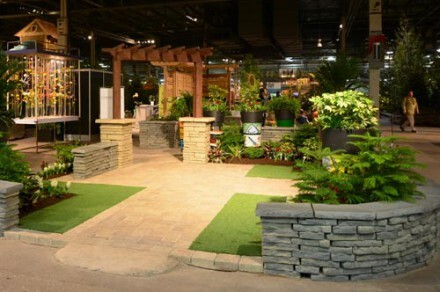 Drift away in your own backyard of relaxation and play with University Pro Landscapers unique “Oasis” personalized designs. Your backyard experience features tailored pools with tree shaded areas, swim-up bars and distinct fountains and light features. 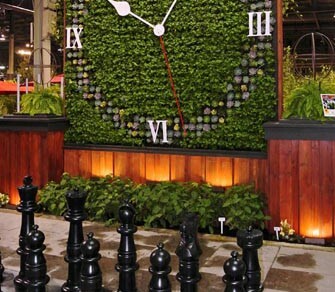 Shift the focus from the everyday to garden play. Hear and see the water fall. Follow the streams and see where they lead. Nestle and let nature nurture. 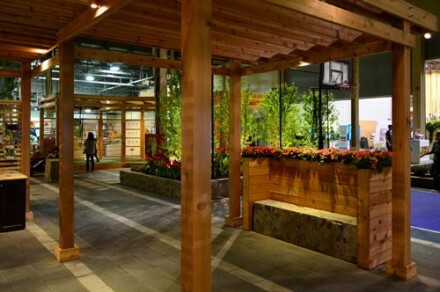 “Stonedene Retreat” is a garden where you regain your faculties in an urban landscape. Let your senses dance and play around exciting textures, sights, and sounds. 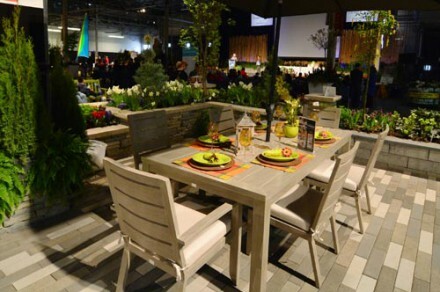 Entertain your friends over dinner or simply unwind with family in nature. 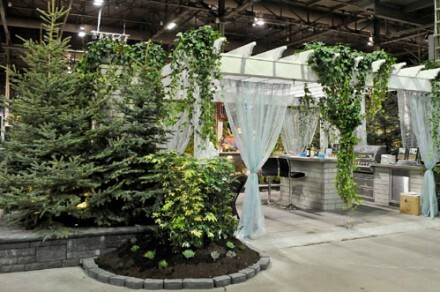 Designed by: Creative Garden Designs Inc. 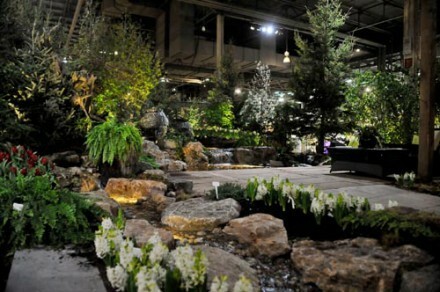 Built by: Canada Blooms, Landscape Ontario, Premier Property Maintenance and So Green. 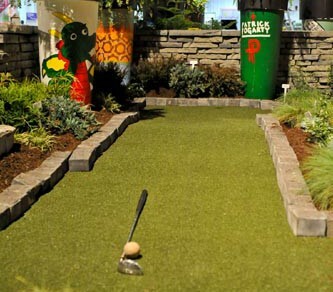 A beautiful backyard should be able to show the playfulness inside of you. It is your own personal getaway to enjoy life and share with close ones. Don’t you think it is time to put away the winter clothes and once again hear the sound of water flowing in the summer breeze? 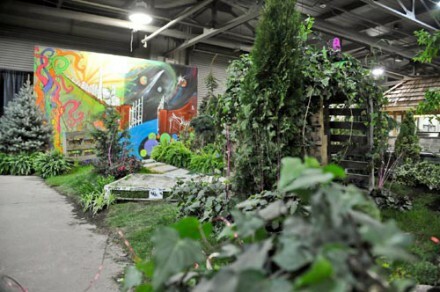 This urban style garden was produced in less than 24 hours with the generosity of the gardens around it. In an effort to protect our fresh water resources from pollutants and run-off, the Parklane Rain Game challenges visitors to think of how each of us can capture rain in our gardens to help control Storm-water run-off and recharge the water table. 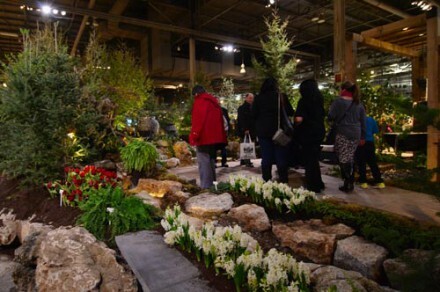 What better way to celebrate Canada Blooms 2015 theme of PLAY and their new mission ‘to connect people to nature’ than in ‘The Bienenstock Playforest’ with The Canadian Wildlife Federation. 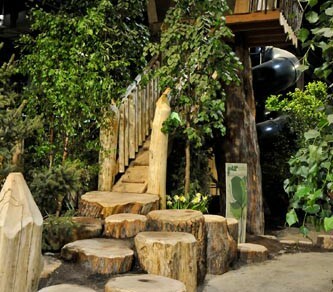 Come and see why Bienenstock’s Natural Playgrounds are now a global phenomenon and sign up for a Family Nature Club with the Canadian Wildlife Federation. The kid in you will never want to leave. Enjoy outdoor life. Run, have fun, and take time to relax. 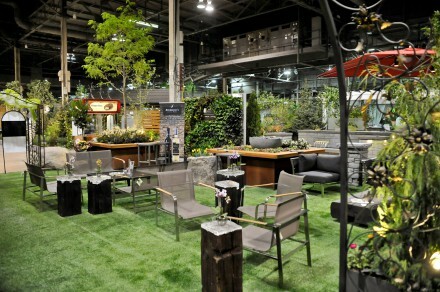 The ExperTrees Garden at Canada Blooms evokes images of Nature in Play, capturing the abstract essence of nature, playfully exploring with unique materials to remind the audience of the relaxing effects our natural environments have on our busy lives. Delta is a metaphor for forming family relationships. 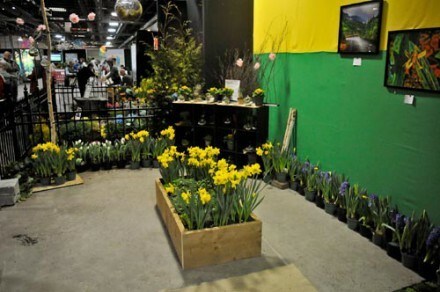 Ida’s Design finds inspiration from the naturopathic industry. The designs chosen reflect the balance of lower maintenance, soothing and aesthetically pleasing results. Backyards and balconies alike, receive the touch of tranquility and care that leaves owners to discover a pure form of relaxation. A private space to relax and listen to the water from the waterfalls or copper vines. Hummingbirds, Butterflies, Bees …Oh My! 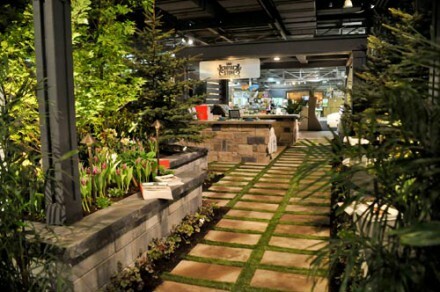 Discover playful and positive ways you can welcome “special guests” into your home garden. Visit our “attractive” pollinator-friendly balcony gardens which showcase pollinator patches of bee and butterfly-friendly plants along with easy DYI projects and insider tips on creating pollinator habitat. Browse our adjoining garden shop for an exciting selection of seeds, bulbs, live plants, lavender, local honey, natural beauty products, home décor and other nifty gardening essentials. Enjoy a glass of wine and dine with the sound of falling water and low lighting to set the mood. 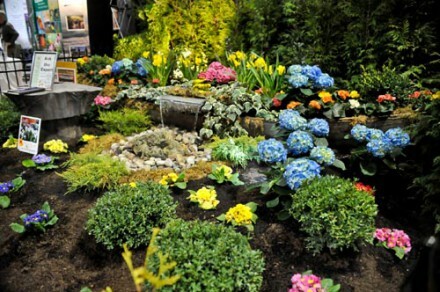 The peace, harmony and tranquility of a garden has become increasingly more important in the world of today. Every landscape should be a truly special place. It should be able to define your lifestyle while at the same time providing you with the utmost satisfaction and enjoyment. Take a walk with us and be showered with inspiration at our garden retreat. Based on this year’s theme ‘Let’s Play’, this garden has been designed to invite visitors in to play, explore and gather, all in one space. 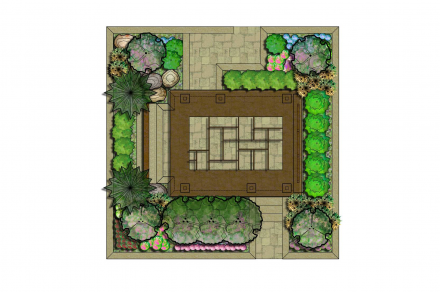 The layout is reminiscent of that of a baseball diamond, and includes a home plate and pitcher’s mound inlays in the patio. 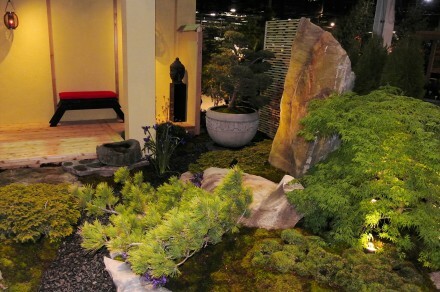 This year in our feature garden, we will be showcasing a nighttime garden. 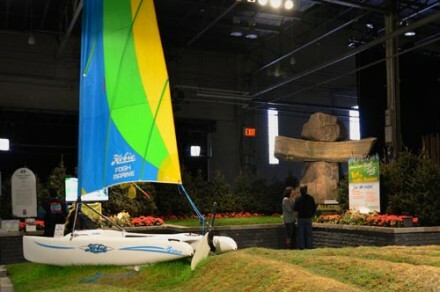 Various types of water features and different lighting techniques will be exhibited throughout the display. Look for our one of a kind, suspended bowl feature that is like nothing you have ever seen before. Our garden is created with the hope that it will awaken memories of days gone by, a world other than our own and a retreat that takes us back to childhood play. 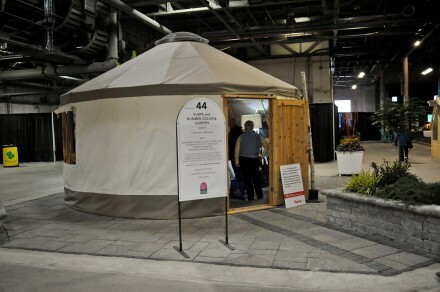 What is a Yurta? And how do you build a garden around it? 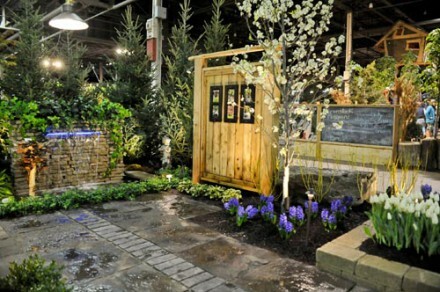 These were the challenges Canada Blooms gave to a team of second year Landscape students from Humber College, and oh ya – also make the garden fit in with the theme “Let’s Play”. 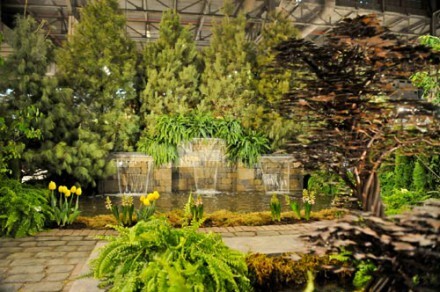 The garden is an artistic expression that exemplifies the benefits of turfgrass. The emphasis is on water. Catch the wave and beautify your garden with turfgrass. 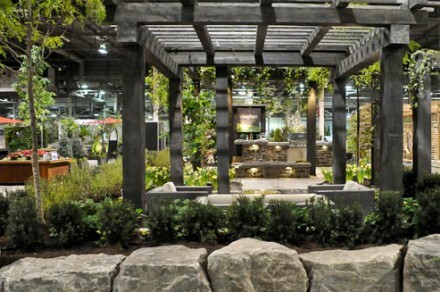 Joe Melo embarked on a project to draw attention to the natural beauty of Ontario stone. 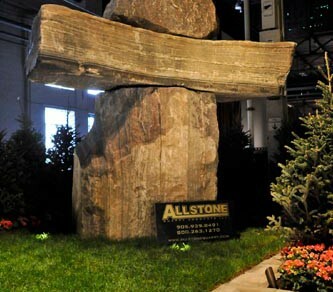 At Canada Blooms Joe has built a smaller version of “Little Joe”, the tallest Inukshuk in the world which can be seen at Allstone Quarry in Schomberg.